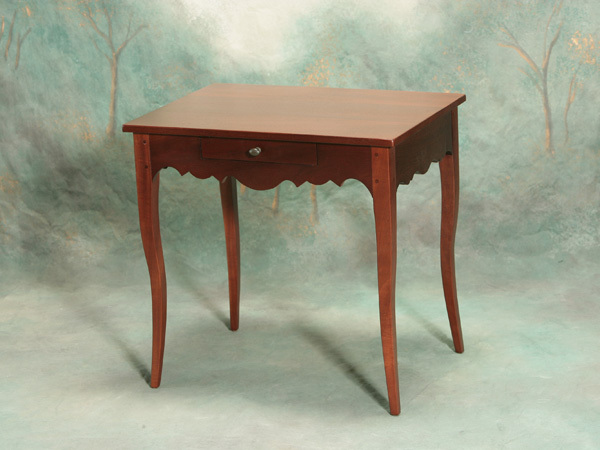 This mahogany table is modeled from a very rare 18th century walnut cabriole leg table. A wonderful replica of Louisiana craftsmanship. The elegant cabriole legs accent a scrolled apron with the fitted drawer. The style is Louis XV, and the size is 27"H x 20 1/4 x 27 1/2". Cypress is used as the secondary wood, and custom sizes are available.